I have found an outlet for my ‘Save the World’-energy in research, and am dedicated to making a difference in the field of TB and HIV. I channel this enthusiasm to inspire my colleagues and friends so that together we impact the world for a better place. Kristina Wallengren, PhD, MPH, is a passionate TB and HIV researcher living and working in South Africa. She trained in TB epidemiology at Harvard University after redefining her career as a basic scientist and sailing half way around the world. Dr. Wallengren is the founder and Executive Director of THINK, registered as a non-profit organisation in 2013 to improve the lives of those affected by TB and HIV. 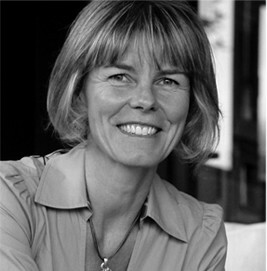 Dr. Wallengren is a basic scientist by training, with PhD in Molecular Biology from the Karolinska Institute in Sweden, and Master of Public Health from Harvard School of Public Health, USA. In Africa, her work has included research with Harvard on genetic risk factors and epidemiology of TB. She has served with WHO as Technical Advisor to the South African Department of Health conducting a situational analysis of drug resistant TB in KwaZulu-Natal following the XDR TB outbreak in Tugela Ferry in 2005. This work lead to the introduction of community-based MDR-TB treatment, which was piloted in KwaZulu-Natal by following a cohort of 1500 MDR-TB cases for 3 years to determine the impact of the new program compared to traditional, hospital based care. In 2010, Dr. Wallengren joined K-RITH (now AHRI – African Health Research Institute) where she started the clinical research core to support basic scientists and conduct clinical trials including development of diagnostic tools and new treatment regimens for TB. Since the foundation of THINK in 2013, it has attracted a number of equally driven individuals who feel the same urgency in making a difference in the world. With its collective passion, skills and experience, Dr. Wallengren is leading an internationally significant research organisation in the field of TB and HIV. Dr. Wallengren serves on the Global Fund Technical Review Panel and has conducted several epidemiological reviews, prevalence surveys and national programme evaluations for TB and HIV with WHO in several African and Asian countries. During the 10 years she spent as a laboratory based scientist in Sweden, Spain and the US, she developed technologies applied to vaccine development, gene therapy and molecular epidemiology.